Vanna is our Star. She is titled in multiple venues and gives it her all no matter what she is doing. Her show career started with a bang at 4 months of age when she won Best Novice Puppy in Show 4x at her first UKC show and she never stopped. Completing both her CKC and UKC championships by the time she was 7 months old and earning her Grand Championships for both within the next year, she became the one to beat. 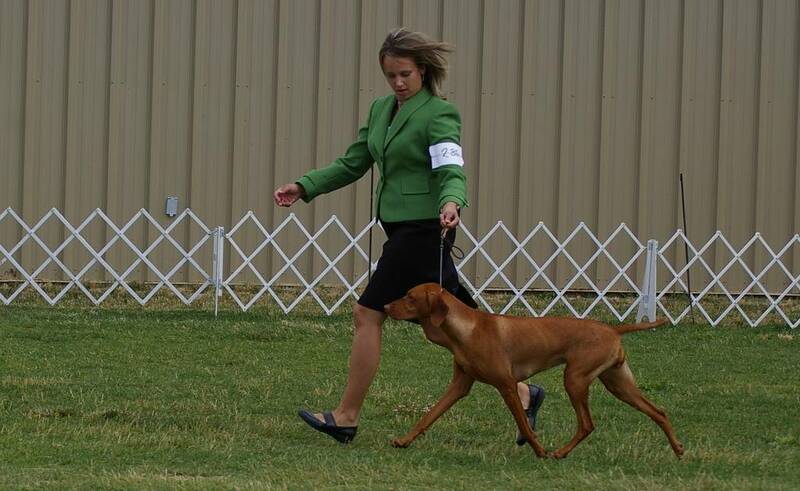 Her ever happy attitude and constant wagging tail make her a top choice for judges and she is used often in the Jr Handling ring. 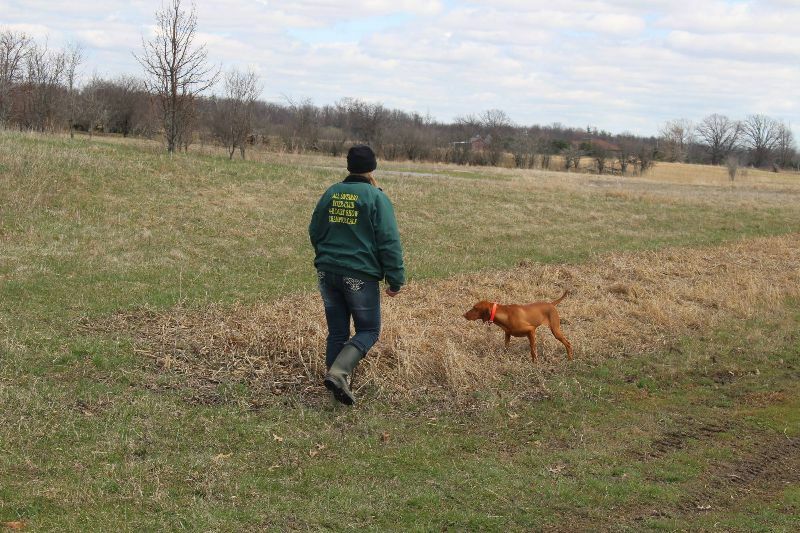 In the field she shines, taking top scores on her tests and wonderful comments from the field judges. 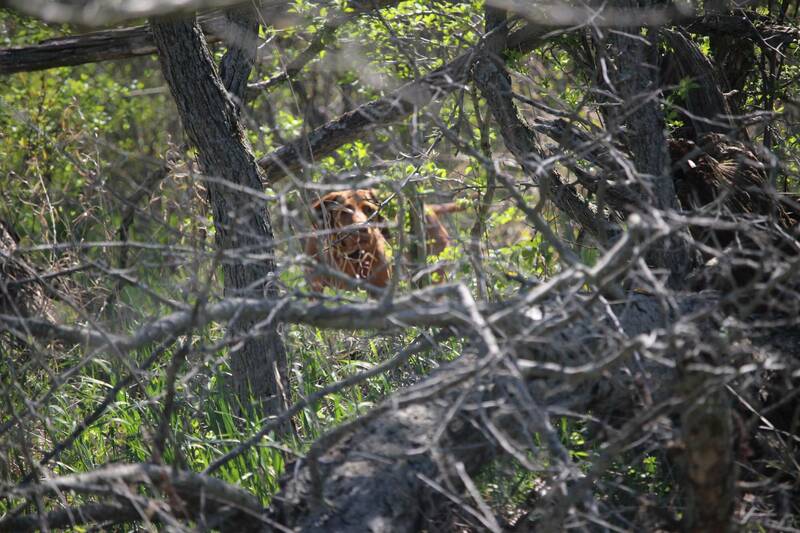 She loves to be out in the field hunting, but has also tried out Nose Work, and Barn Hunt. 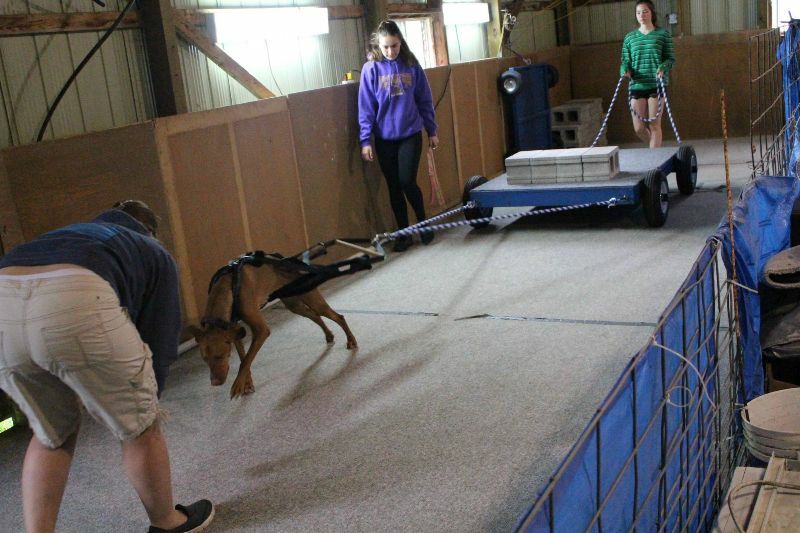 She recently completed her Novice Exterior nosework title, and earned her United Weight Puller title in 3 straight trials. She has now started earning points towards her UWP Championship with her best pull being 17.11x her body weight, over 800lb. 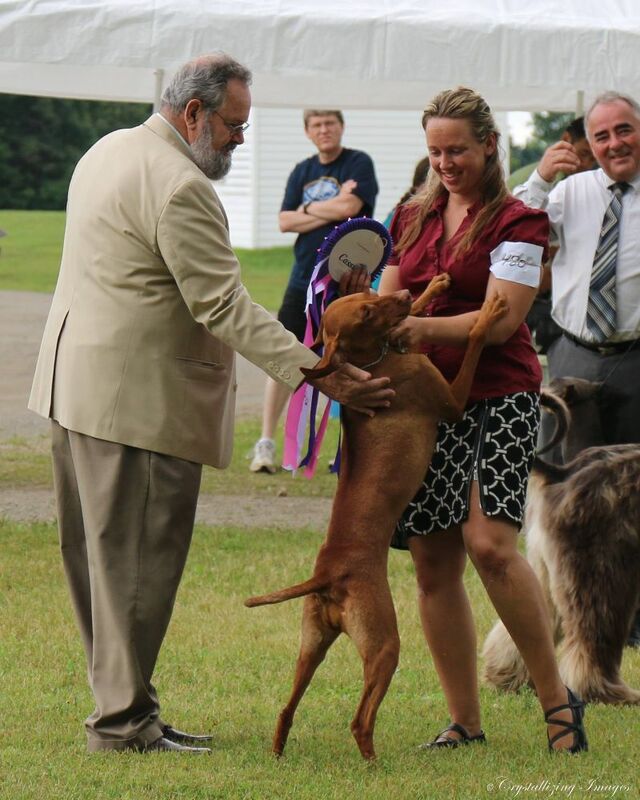 Undefeated as a puppy in the CKC ring, winning best puppy in breed at every show she attended. 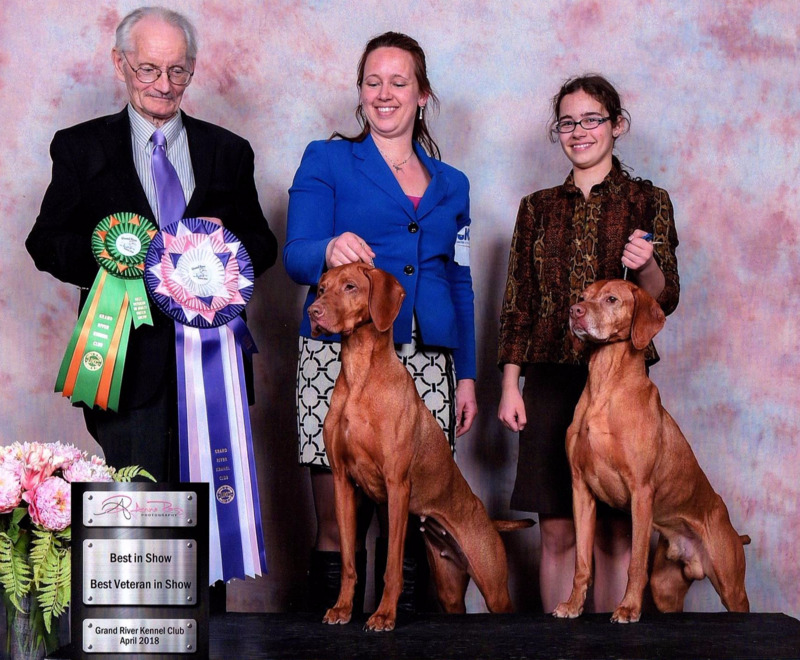 Multi UKC Best in Show and Reserve Best in Show winner, Best of the Best winner. 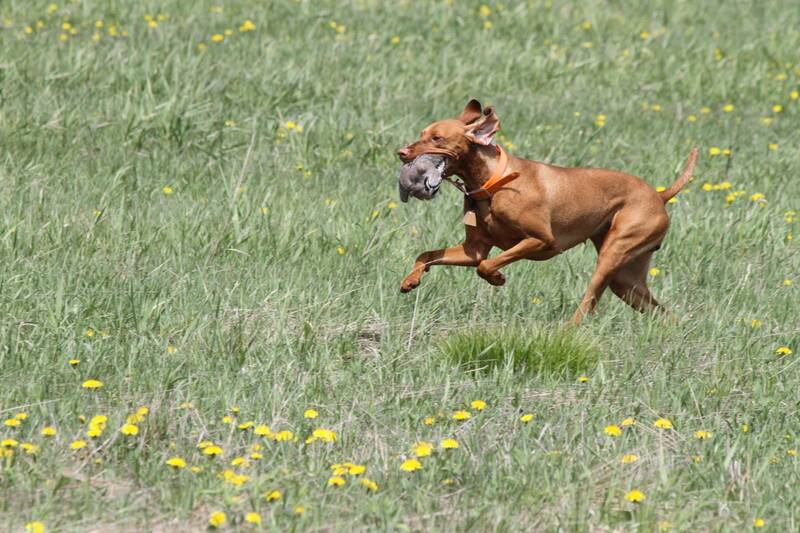 UKC Top Ten breed ranked '11, '12, '13, '14, '15, '16 and '17. Second place overall at the 2015 UKC Top Ten Finals. 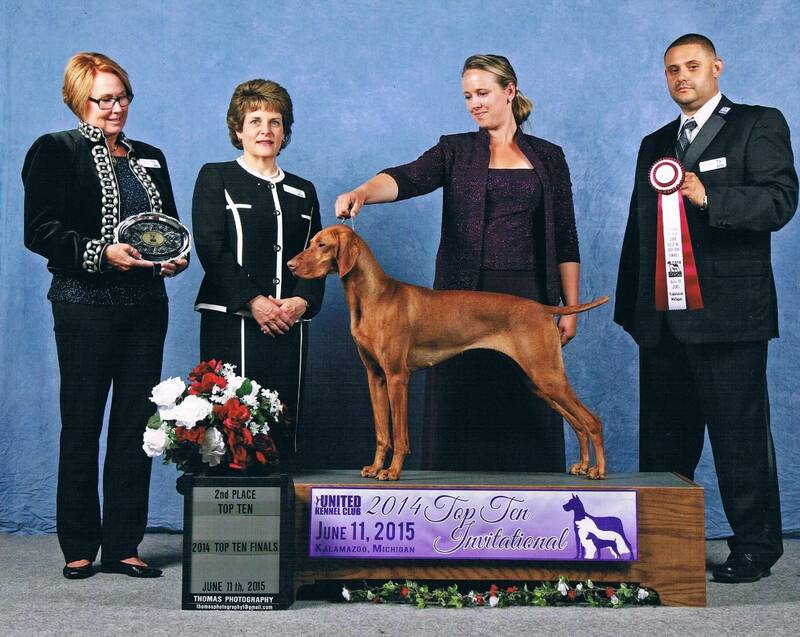 Highest placing Vizsla in UKC Top Ten history, Hightest placing Canadian dog in UKC history.